An Angel and a Hero for every child. Learn how you can help needy but deserving children and young adults, like Rochelle. Or, make a donation now! Our Spring/Summer 2019 edition of Angel Rising Magazine is here! On the cover is Abby Villaruel. The changing seasons reflect who we are, and this spring, it’s about reclaiming ourselves. The best part? We’re completely in control of what we do to stay in tune with ourselves, whether that be through a daily ritual you’ve decided to keep up with, a yoga class worth waking up for, or simply cooking up a special meal. This issue is about self. Appreciating and recognizing one’s own strengths should never have a negative connotation. Rather, it should be a celebration—of womanhood, of our talents, and of every little thing we’re doing in order to keep living in this world. We hope the stories these women are about to share with you inspire you to embrace your entire being. Although the phrase “self-care” has been oversaturated by the grand scheme of marketing, it’s important that we take a step back and reflect on what this phrase means to each and every one of us. Self-care can take on many special forms. Putting more work towards a personal project after hours rather than throwing on a face mask and reading a book might be a more accurate definition for one person than it is for another. It is different for everyone, after all. What works for you? Our Progeria sibling recipients have been outstanding students at Mareda Elementary School in Sta. Ana Cagayan, Philippines. God bless these amazing and inspiring children of the Lord your God. 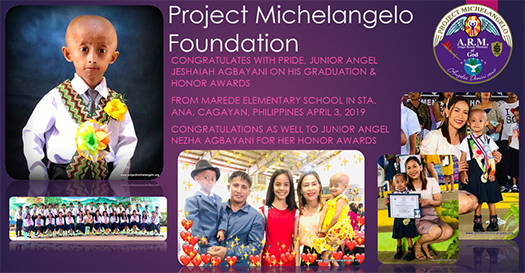 Project Michelangelo Foundation wishes to congratulate these 2 students of Our Lady of Mt. 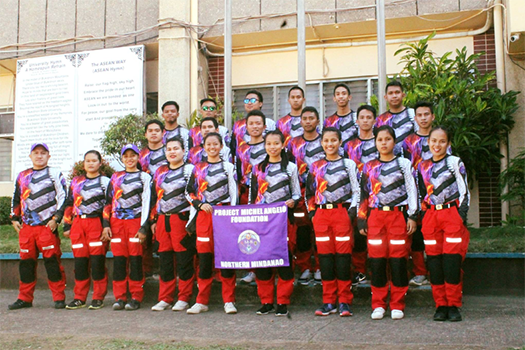 Carmel College, Baliuag, Bulacan in the Philippines for finishing the school year 2018-2019, with honors of distinction; LIANNE MAY ORTEGA VALCOS, 1st place outstanding academic achievement among the 2nd year High School students and GIO JUSTINE DE GUZMAN, number 2 academic excellence among Grade 7 students. These young students are under the inspiration and assistance of Mr. Enrico L. De Guzman, PMF Philippines Executive Director. You made us all proud of you! March. 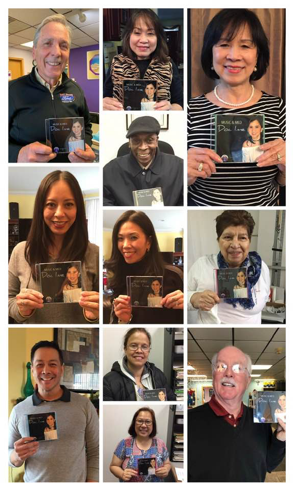 2019, New Jersey, USA: Janette Doria De Guzman, angel team leader for Project Michelangelo Foundation’s new Mission Braille for the blind in the Philippines, receives a prestigious “2019 Women Achiever Honoree Award-Excellence in Nursing Management” from the Pan American Concerned Citizen’s Action League during the 2019 Women’s History Month, March 2019. 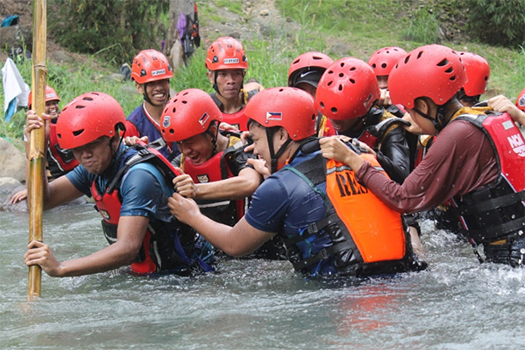 Congratulations to Project Michelangelo Foundation International Team Northern Mindanao, Philippines, our Humanitarian, Emergency (water rescue and forest fire suppression), and Empowerment rescue team for a continuous expansion of volunteer membership and training. Special thanks to the Bukidnon State University for partnering with Project Michelangelo Foundation. 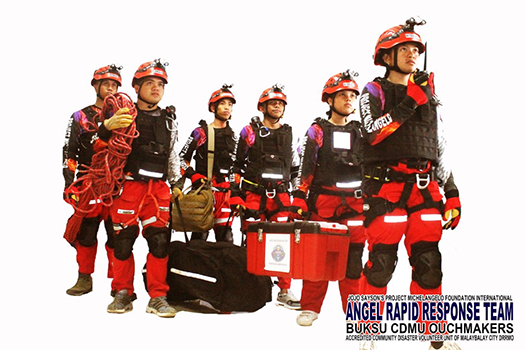 Our newest unit: Fire: Wild Fire Suppression training of the PMF Team Northern Mindanao Angel Rapid Response Team (A.R.R.T.) and the Wild Fire Angels. 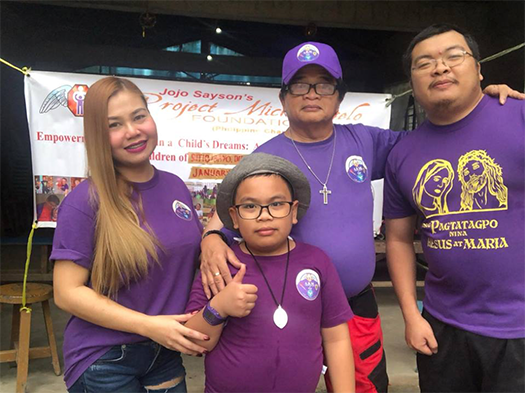 Project Michelangelo Foundation through the representation by PMF officers Enrico L. De Guzman and Dennis Asis accompanied by junior angel Kim Asis welcome WongKi with his family to the Philippines. Wongki is a South Korean boy diagnosed with Preogeria as well. 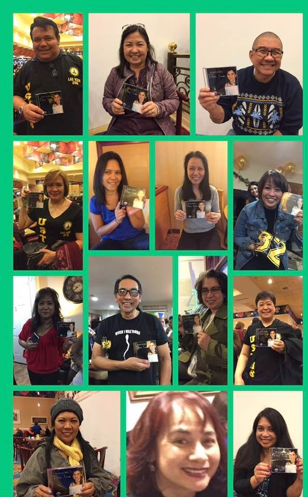 Hope you enjoyed the company of our PMF angels in your brief tour of the City of Manila. 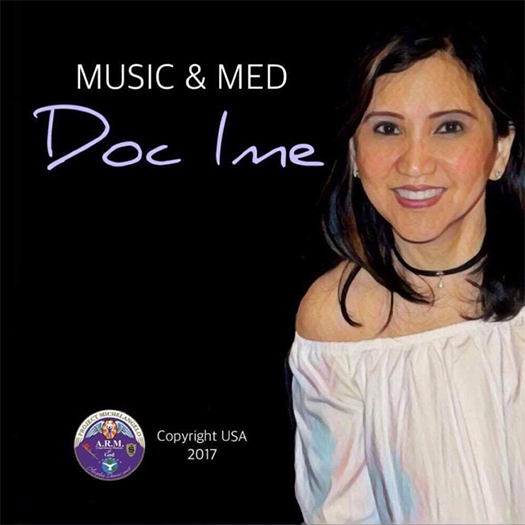 January 2019 Video Chat with Kim from Bourbonnais, Illinois to Boston, Massachusetts. 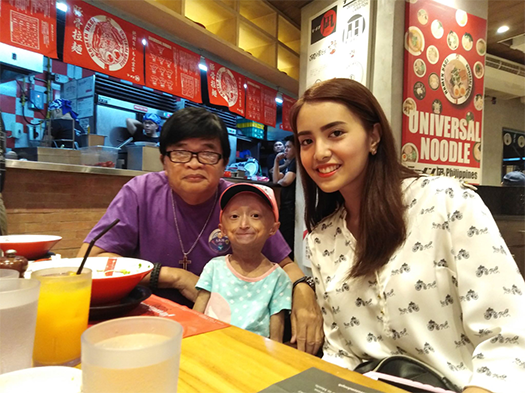 Jan. 27, 2019 Newsfeed: Please join us in special prayers for our little angel Danielle Kim Asis together with her dad, angel bro Dennis Asis as they embark on a return trip back to Manila from Boston after completion of clinical check-up at Boston Children's Hospital through the auspices of the Progeria Research Foundation in cooperation with Project Michelangelo Foundation. 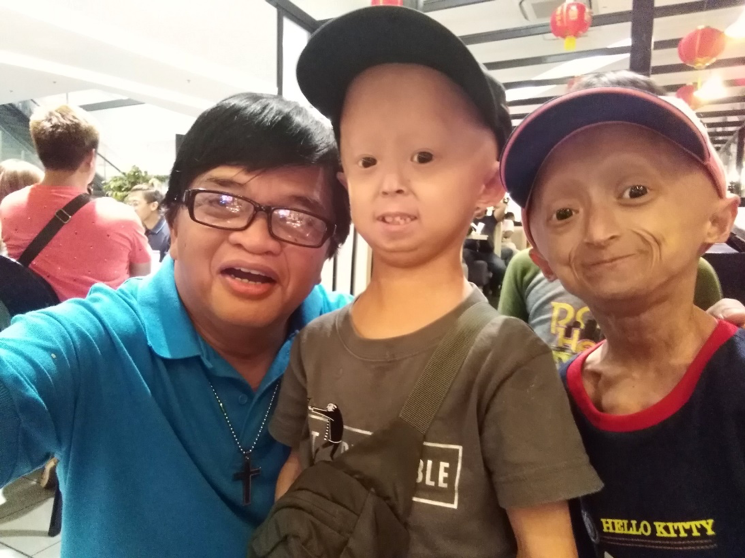 We have 4 live Progeria cases in the Philippines. Please join us in prayers to heaven for a long & fruitful life here on Earth. 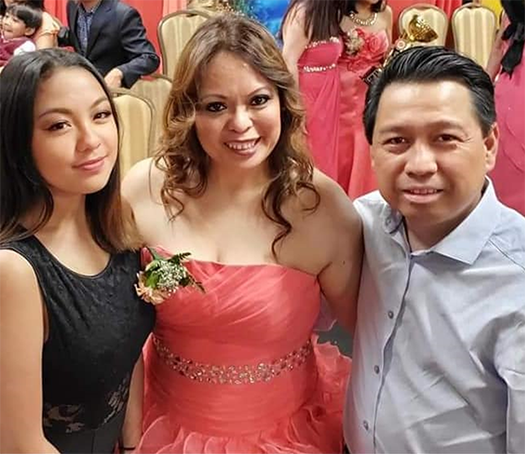 A blessed opportunity to be able to introduce angel Lia Kemnetz & our angels Angela Felde & Valerie Arias on video chat before they departed from Boston. God bless the children. 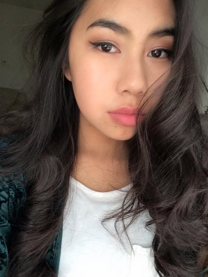 Danielle from the Philippines had fun at the Boston Aquarium this week in January 2019! 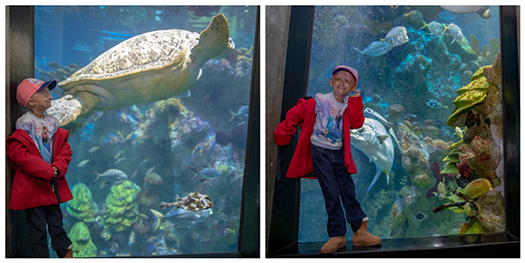 Danielle, 12, enjoyed watching all the fish and turtles in the big tank. 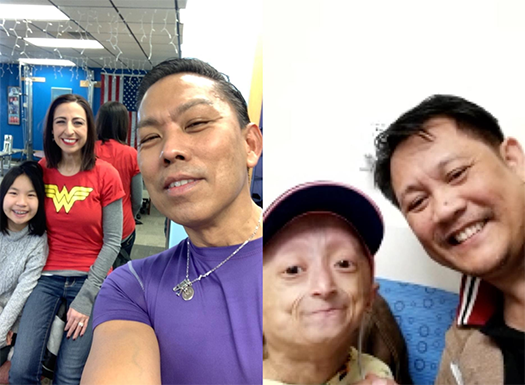 Kim as she likes to be called, completed her clinical trials for treatment of Progeria at Boston Children’s Hospital with the auspices of the Progeria Research Foundation. 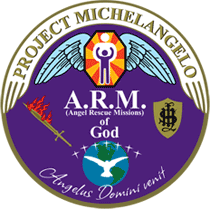 Project Michelangelo Foundation is the official protectorate of children in the Philippines afflicted with Progeria. 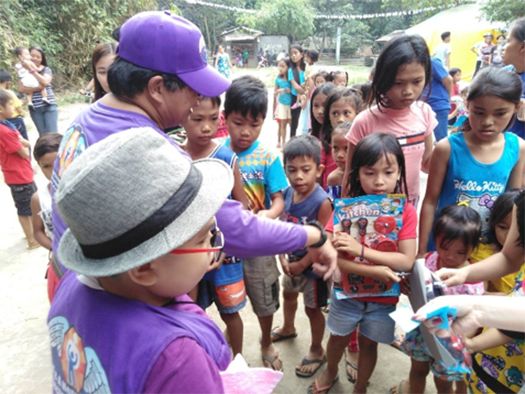 January 27, 2019: Our angel Enrico L. De Guzman aka the “Toyman” and his angel team embarked on another Toy Mission for the less privileged children of Sitio Ibayo, Dulongbayan, San Mateo, Rizal, Philippines. The angel team met up at 8 am and started moving by 9 am, to cross the makeshift river bridge in reaching the destitute children anticipating toys, food, empowerment and love from Project Michelangelo Foundation. Thank you to all our donors! 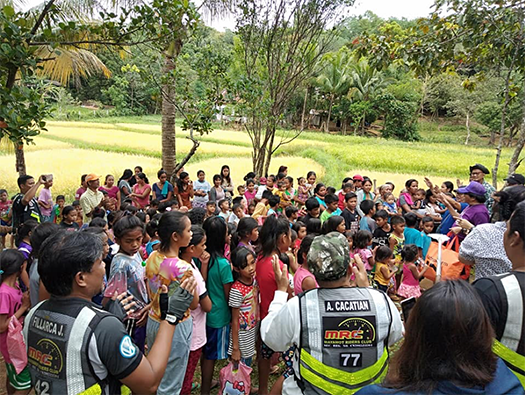 Jan. 27, 2019: Balikbayan Boxes filled with baby needs for Northern Samar island shipped! Thank you junior angel team leader Lia Kemnetz for a job well done! Thank you angels Valerie Arias, Angela Felde (especially with your additional cash donation!) and so many more people who help donate! Thanks Daniel Bennett, Sam Hassett (Toni Hassett) & so many more! God is good! 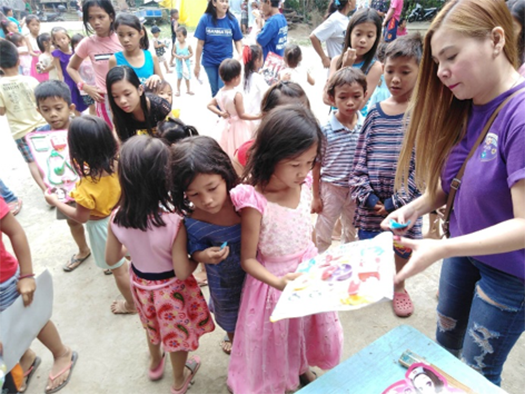 Thank you angel Doc Maria Sylvia Agudo Pacle & team for uplifting the children affected by the recent typhoon in Northern Samar, Visayas, Philippines. You keep the spirit of PMF alive! God bless you & keep you always safe! 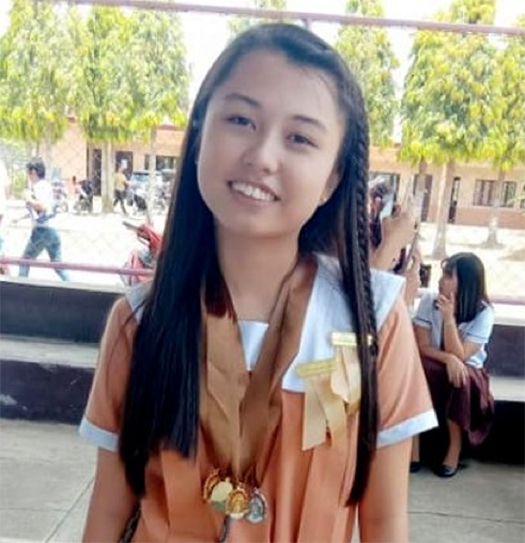 PMF Opening Mission for 2019- Setting a meet up between Danielle Kim Asis and Laura Mikaela Tan from Cabuyao Laguna, our upcoming Angel who was excited to meet Kim and be added on the list of our angels inspiring and protecting Kim. 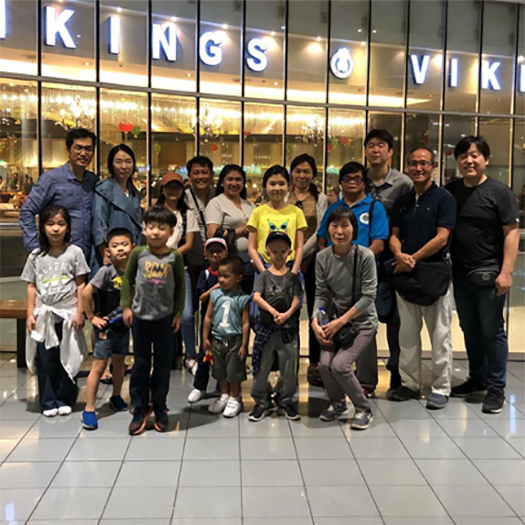 It became a meaningful event as it transpired in the presence of the whole Asis family and de Guzman family at one of the popular ramen house inside Trinoma Mall, Quezon City, on the last day of Christmas, January 6, 2019. 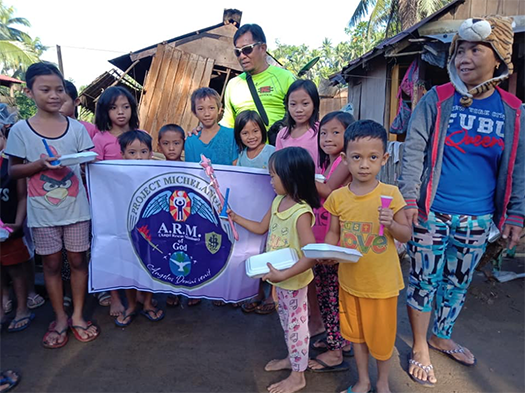 Dec. 9, 2018 Christmas Mission: The children of the Dumagat Tribe in the Philippines with the Amazing Toyman! Thank you PMF Exec. Director Enrico L. de Guzman for his superpowers always giving honor to our PMF family! Mabuhay! Project Michelangelo is an independent and private organization established in 2011 and conceived from human elements of compassion and hope mobilized into angelic-like response for humanity through educational endowment for needy but deserving children and young adults, assistance to children with cancer and life-threatening diseases, helping grant a wish for a terminally-ill child, and partnership with rescue organizations in times of calamities and disasters. The name Michelangelo means “messenger who resembles God” and is the image and essence of the foundation’s mission in delivering hope and watching over to empower the children of the world and their appointed guardians. Our commitment to accountability and unique innovations will lead us into the heart of communities anywhere on the planet where these children belong through collaborative means. We believe in hope to change the world into a better place to live in through education and setting of a moral code through passionate belief in the Almighty in the hope of finding and nurturing the next generation world leaders. 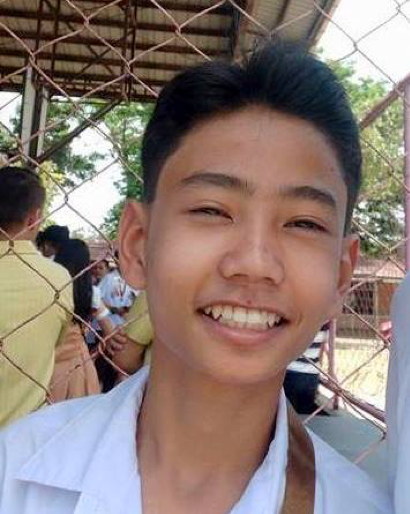 Project Michelangelo revolves around the belief that teaching a paradigm shift in the minds of children from helpless to powerful can help them achieve any dream in life they can ever imagine. This Foundation is based in Illinois, USA and currently collaborates with the Republic of the Philippines. Meet Rochelle, and learn about her life with progeria. 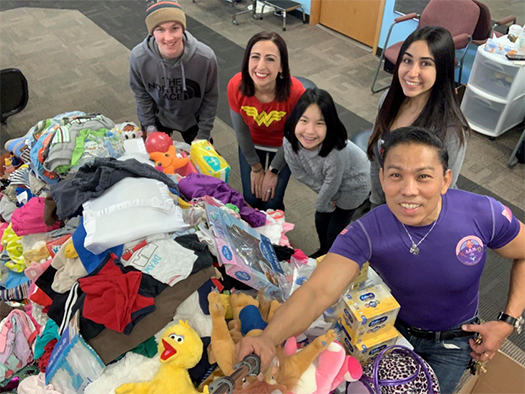 Along with Project Michelangelo founder Jojo Sayson, this humanitarian team is dedicated to grant wishes worldwide. To ignite the fire of compassion in the human heart, to give hope and inspiration, and to take action in helping empower the children of the world and its appointed guardians.